Taiwan-made online game headed to Sony platform. 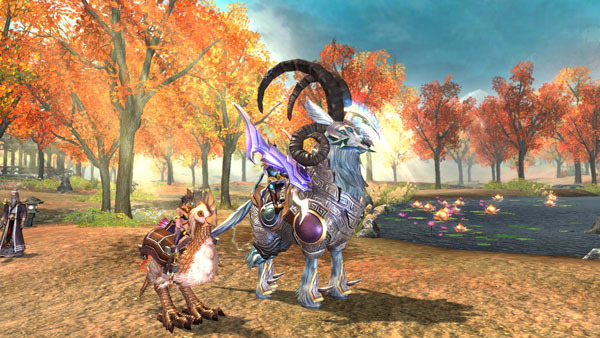 Gamemag MMORPG Weapons of Fantasy is coming to PlayStation 4, the publisher announced. The fantasy game, which is developed in Taiwan, will be distributed exclusively by Lions Film in Japan. It offers a versatile combat system that ties into a Relic System, five job types, a pet system, a deep armor system, cute and cool vehicles, and other features. When the PlayStation 4 version launches, it will be a free download. PlayStation 4 users can play on the same servers as PC users. Specific details, such as the console service start date, have yet to be announced. View screenshots of the MMORPG here. Visit the game’s website here.